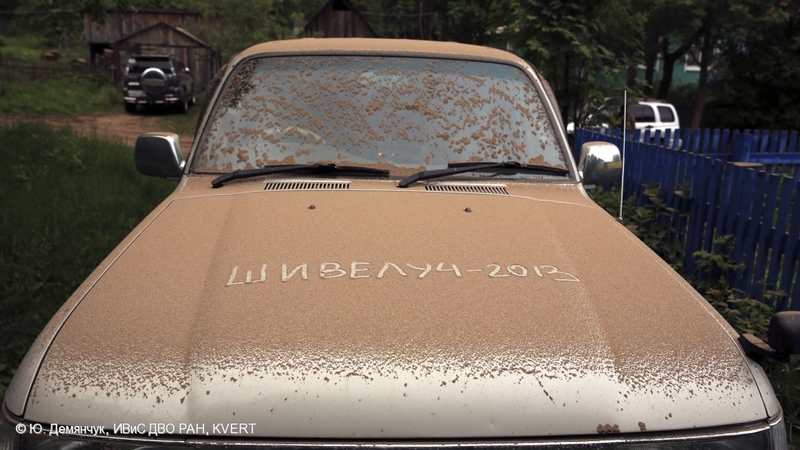 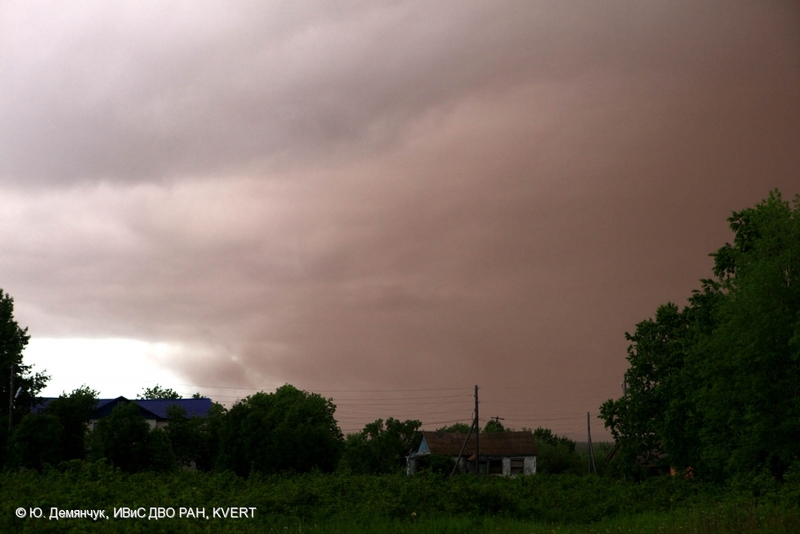 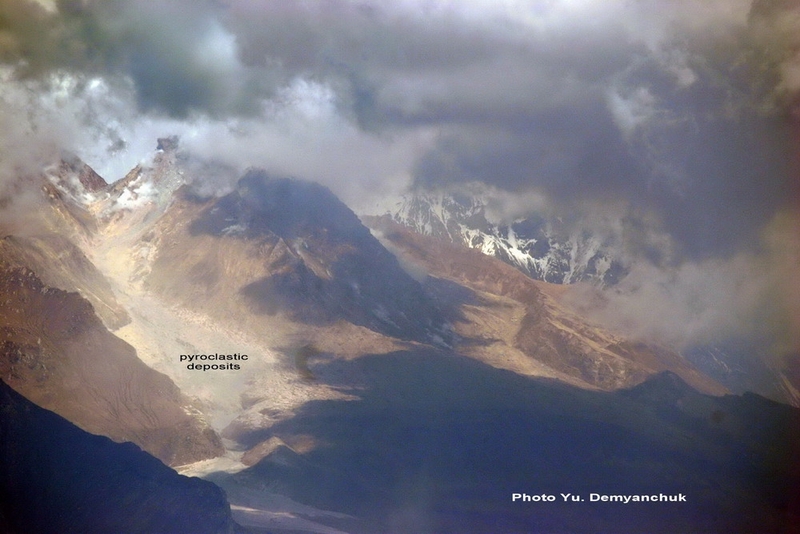 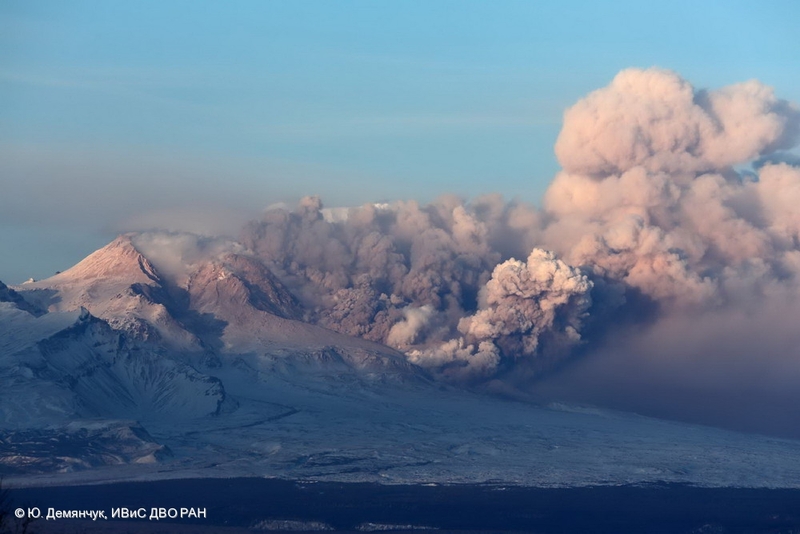 Ash plumes from hot avalanches from the lava dome of Sheveluch volcano. 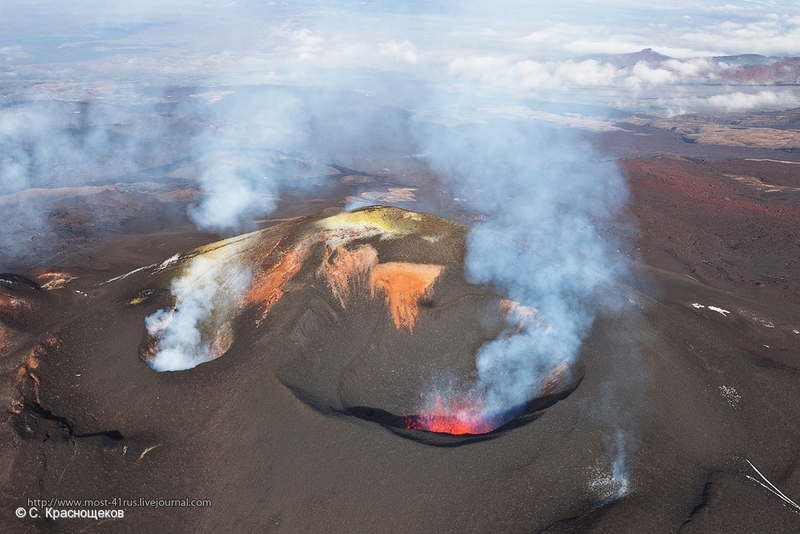 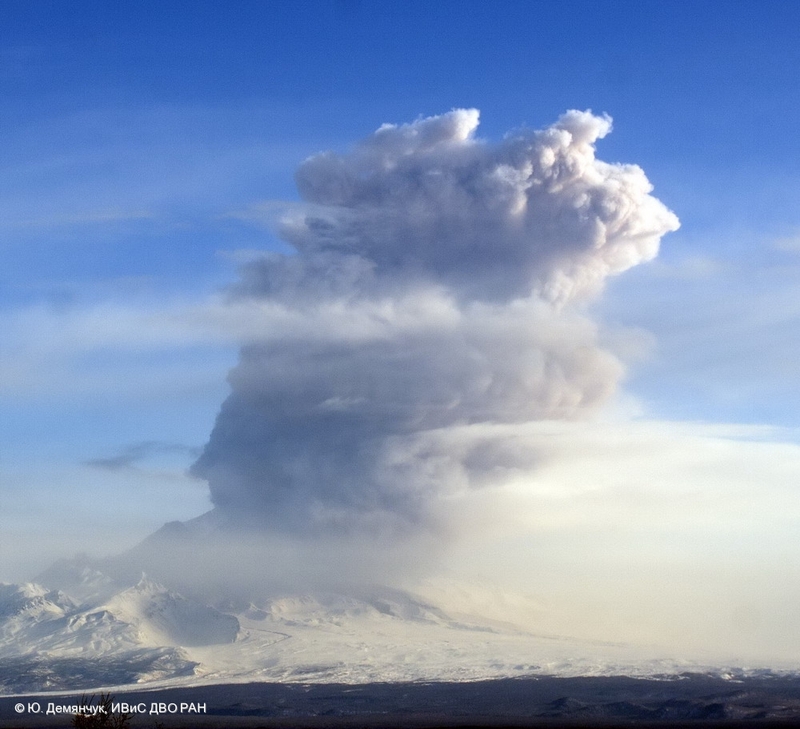 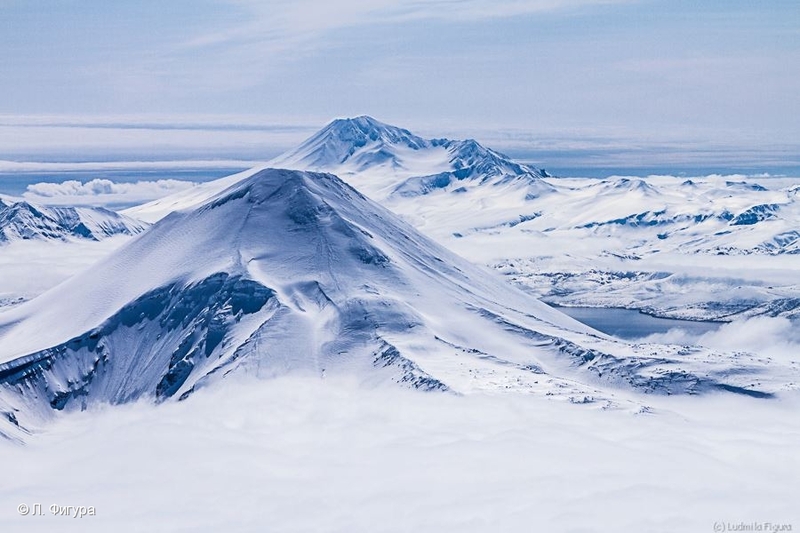 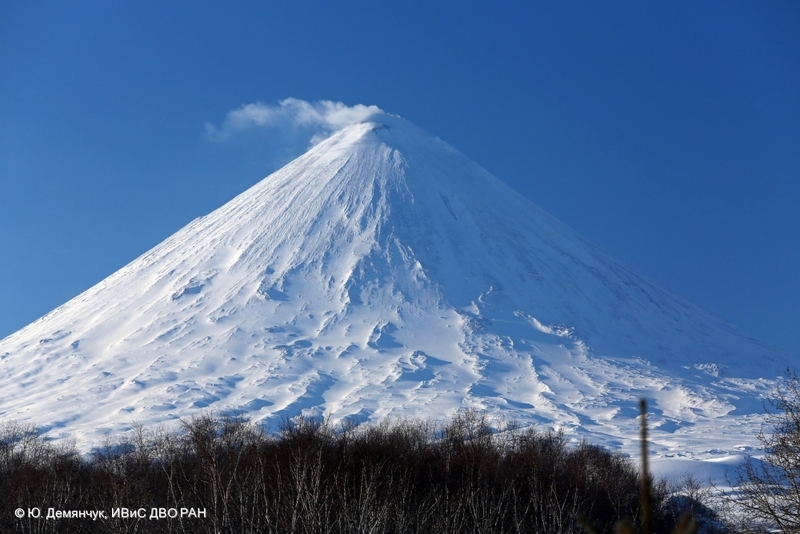 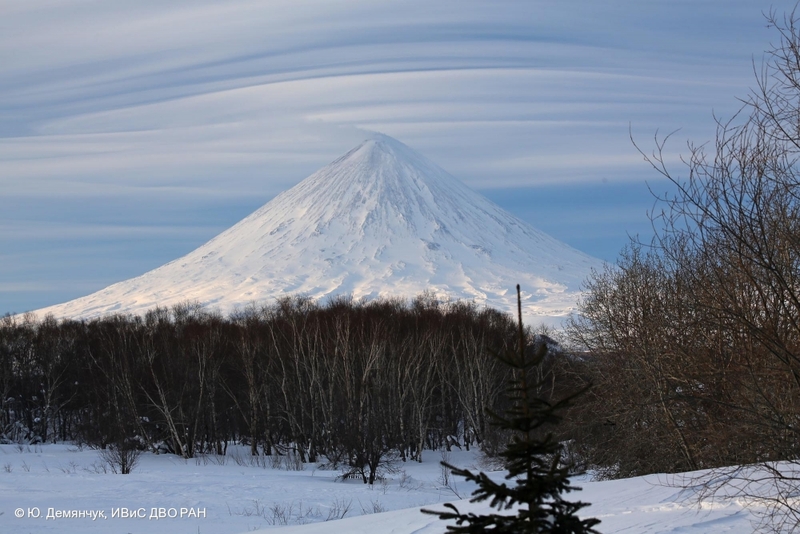 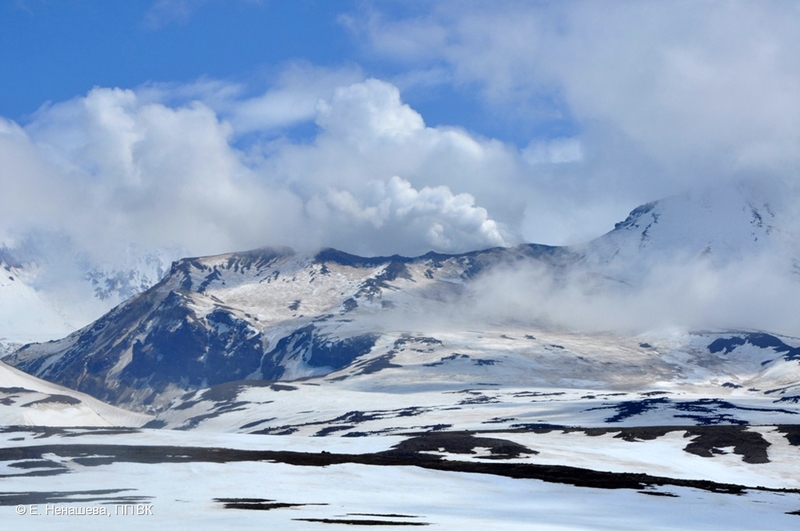 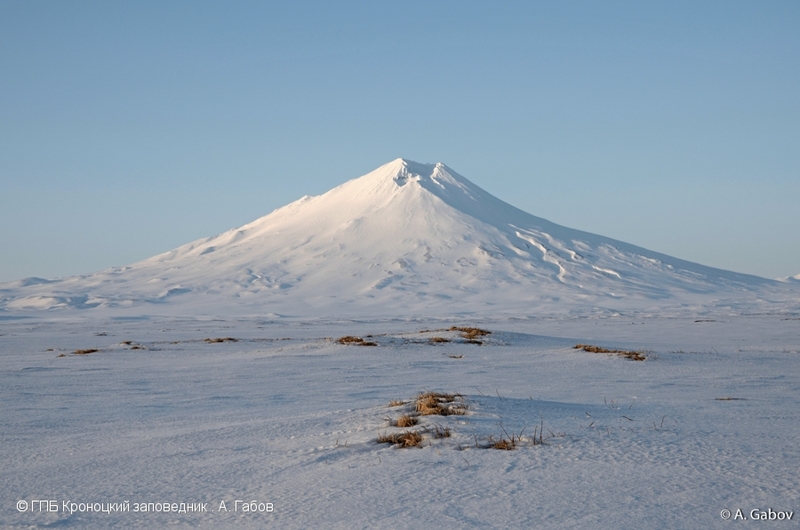 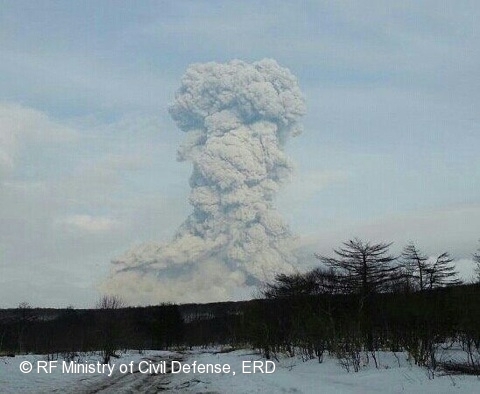 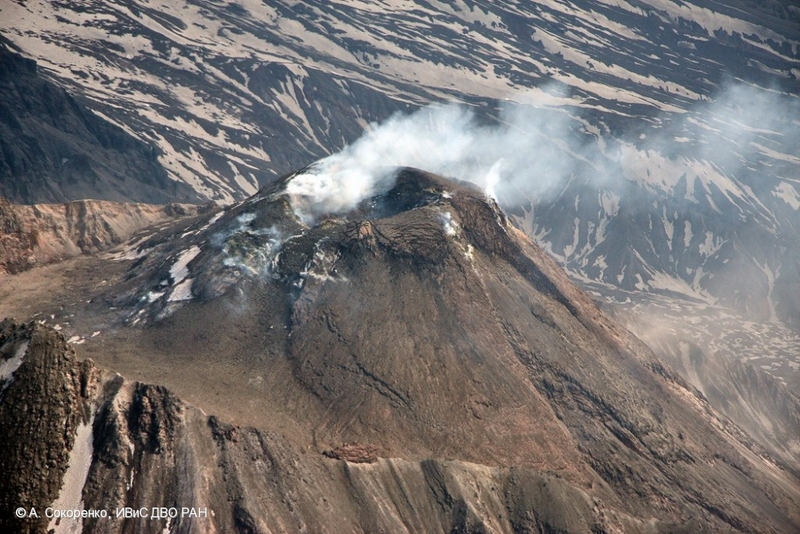 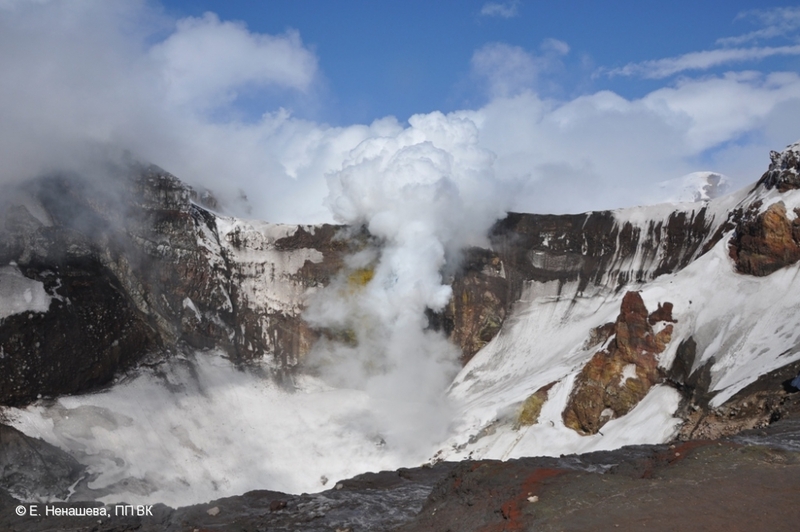 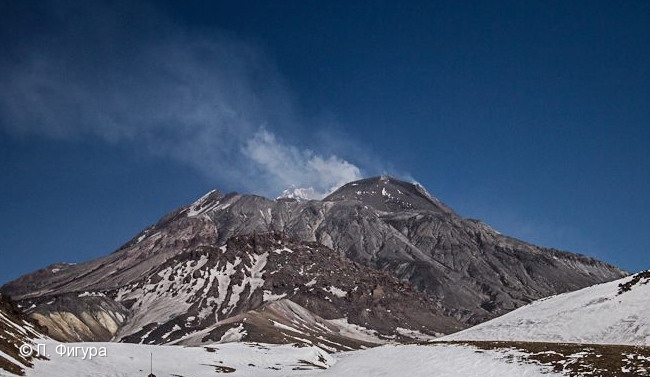 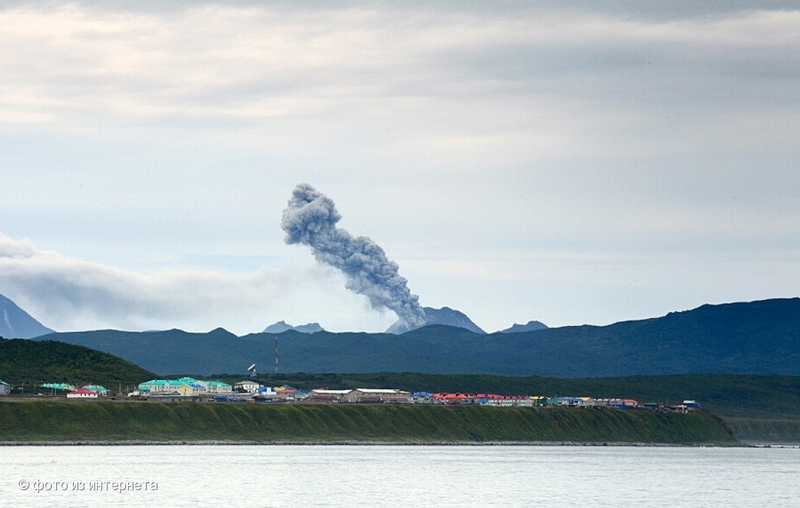 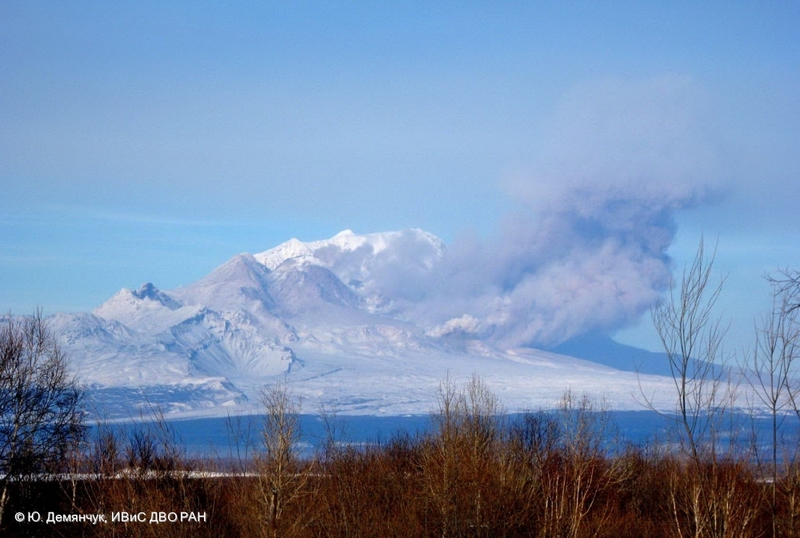 State of Klyuchevskoy volcano on March 06, 2013. 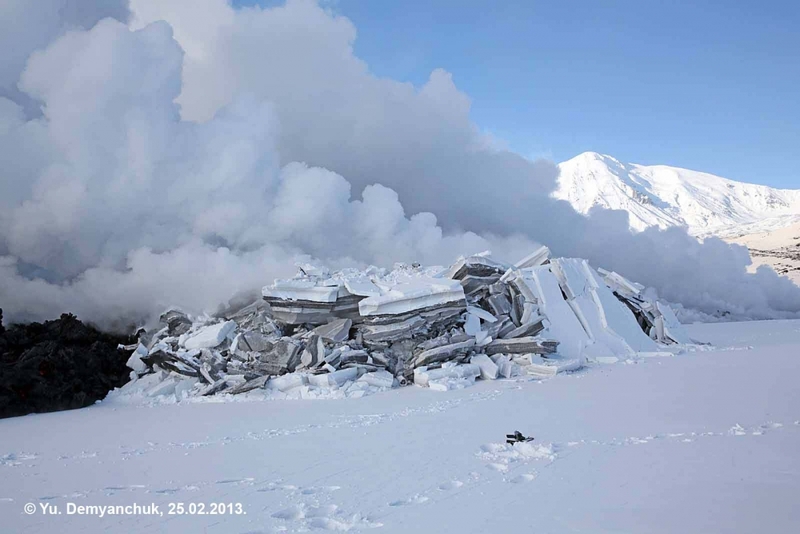 Ash plumes from hot avalanches at the lava dome of Sheveluch volcano. 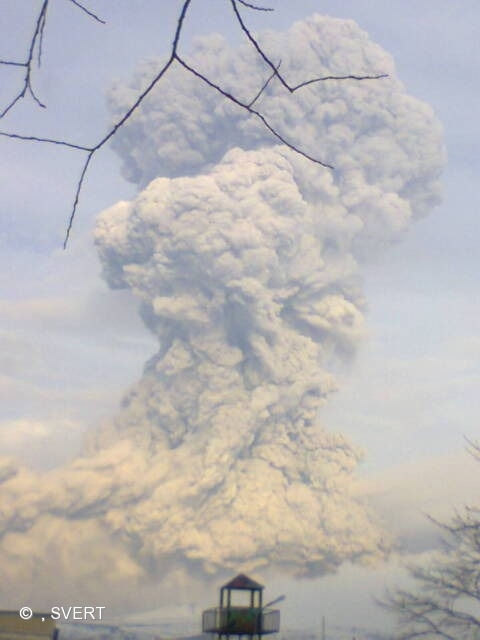 An explosion sent ash up to 9 km a.s.l. 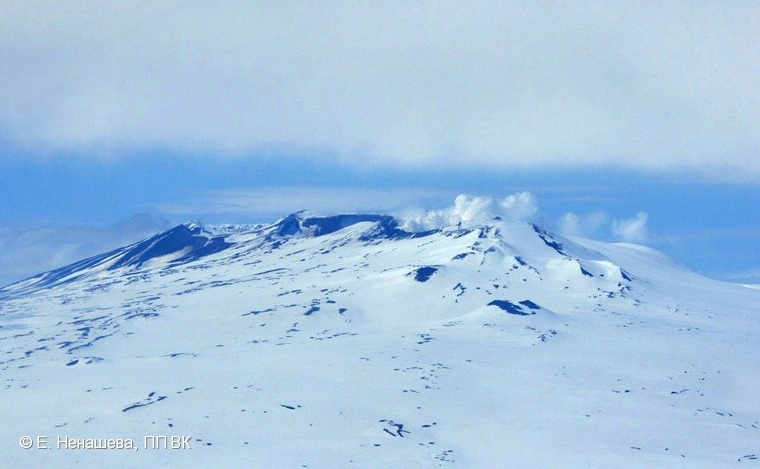 State of Klyuchevskoy volcano on March 01. 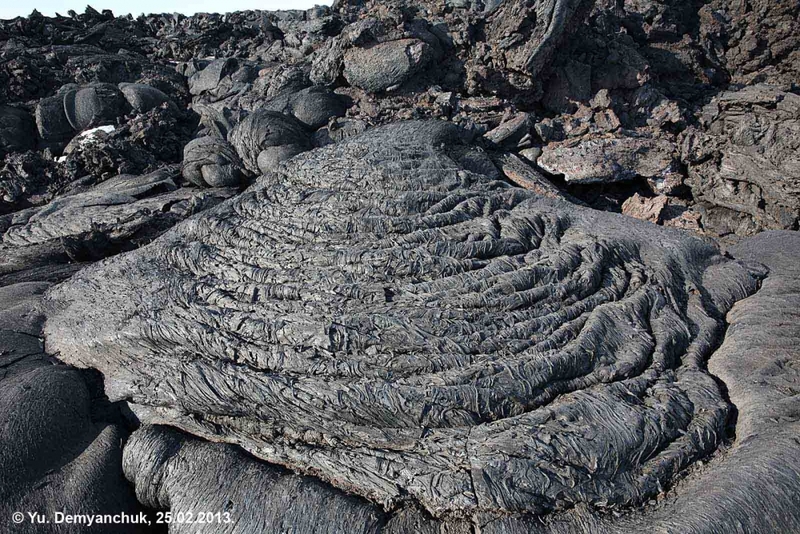 Lava flows move to east-south-east. 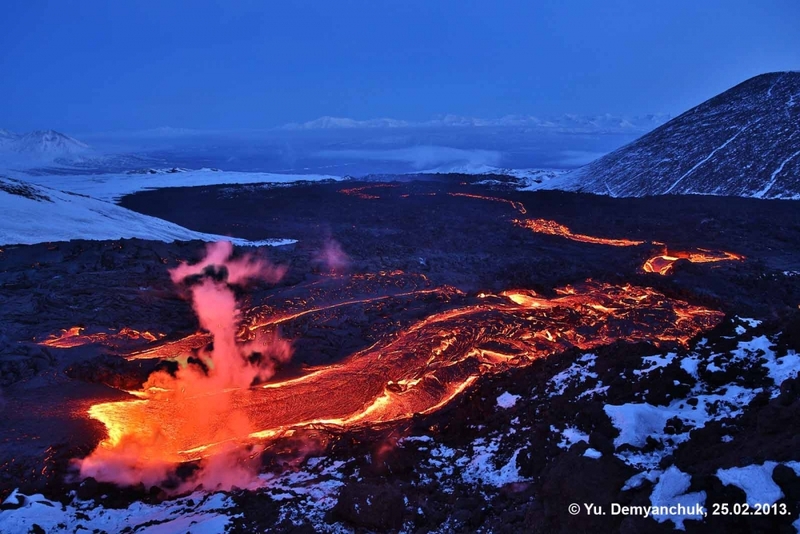 Intrusion of lava flows in depth of snow.